At first glance, tax software can seem like a godsend — offering you the benefit of a personal accountant without handing over a ridiculous portion of your tax refund. 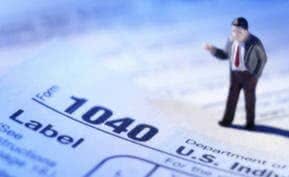 You’ve already doled out a significant chunk of your paycheck to the government; of course you’re going to favor budget-friendly tax preparation options in hopes of saving your business some extra dough. Like many other types of software, however, you may be tricked into thinking you’re getting a better deal than you actually are. 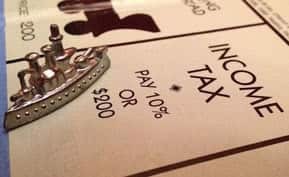 The price for filing, submitting taxes in multiple states, adding in deductions and utilizing those “expert tax professionals” can end up costing your business a pretty penny. How do you know if the business tax software you choose is going to bolster or cut your company’s savings? Read on to find out the real cost of your tax solution and learn which supplementary fees to be on the lookout for. Yet these price points don’t include any of the extra non-optional fees an SMB must incur to successfully submit its tax returns. For starters, federal plus state filing (yes, both are mandatory) will typically cost software users extra — often adding a significant amount to the running tally. What Will It Cost Me to File State and Federal Taxes? Since technically you’re filing to two separate agencies — the federal government and the agency of the state in which your business is located — each action can be charged individually. This means you’ll likely pay more than the initial number that lured you in, and sometimes even more than the software itself costs. Whether you’re filing with H&R Block, TaxAct, TurboTax or otherwise, odds are you’ll have to pay extra for state or federal submissions. Two-for-one discounts are hard to come by, unfortunately, although many software programs will include federal filing in the system price and charge additional for state filing. On average, you’ll be looking at paying between $15 and $40 for a single state filing. Also keep in mind that some programs may have different pricing for e-filing (electronically filing a state form may cost more, or less, depending on the solution). What If I Need to File for Multiple States? Most tax software includes a price-per-state filing fee; so if your business consists of brick-and-mortar locations in multiple states, you’ll end up paying a substantial amount of money in order to submit the necessary forms for each state. Based on these numbers, a small business with two locations in two different states using TurboTax Business would end up paying $110 just to cover state filing. With the cost of the software added, that would bring the total to just under $270. And that’s assuming no other fee-applicable features (like phone support) are needed. 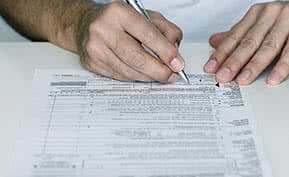 What If I Want to File Tax Deductions for My Small Business? Maximizing tax deductions is one area where you should not have to pay extra. All of the major tax solutions will evaluate many of the available business deductions to determine whether your company qualifies (provided you’re using a business edition of their software). TurboTax searches more than 350 deductions and credits to help ascertain that your business is utilizing all available deductions. And while TaxAct and H&R Block don’t publish the number of deductions reviewed, both platforms guarantee that they will maximize deductions. The only (potential) downside is that these solutions may only evaluate some of the most common business tax deductions. TaxReceipts.com provides a pretty thorough guide on deductibles for small businesses in case you’d like to review available deductions yourself. You can also utilize the professional support offered by many tax solutions to ensure you’re not missing out on any opportunities. What If I Need Extra Help or Professional Advice? If you’re self-employed or own a small business, you’ll likely find help from a tax professional to be of great value, considering how tricky your finances can be. Unfortunately, that “expert advice” often comes with its own price tag, in addition to the cost of the software program. Whether you seek support via phone, chat, step-by-step guidance or in person, professional assistance is sometimes — but not always — free to use. And even if support from an accounting professional is available at no cost to you, you may still have to pay a higher price for a solution that will walk you through the entire process. The latest version of TurboTax Deluxe, for example, no longer includes a step-by-step support process — users desiring that feature now must splurge for the upgraded edition, which costs $20 to $30 more. If you get audited, the major software platforms will all provide free audit support. H&R Block offers the most extensive level of support, with free in-person assistance that includes audit preparation and presentation. TaxAct has a tool called Audit Assistant that will help guide you through the audit process, while TurboTax includes free one-on-one audit guidance. Not ready to make your tax software selection yet? Check out our comprehensive review of TurboTax and H&R Block to learn more about the top two tax filing solutions.